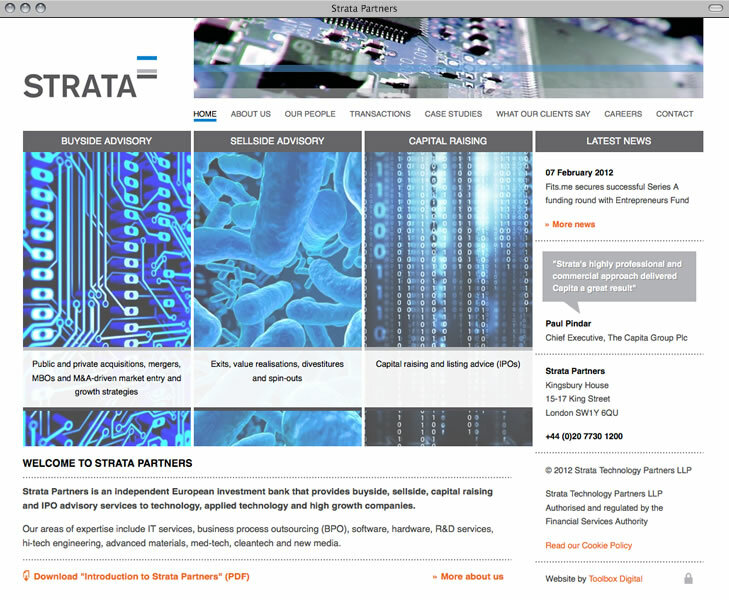 Strata Partner's existing website was fairly well structured but had one major problem - site updates. 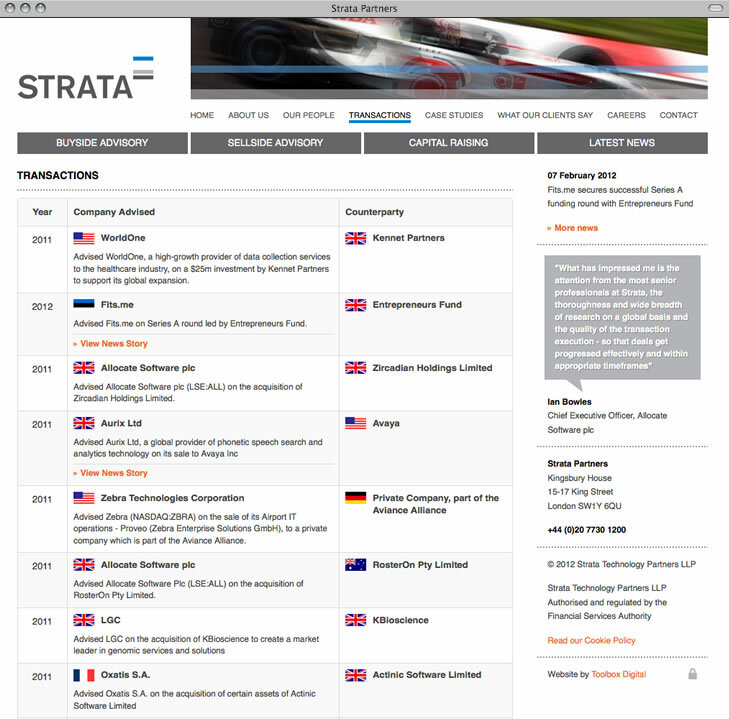 The existing back-end of the system made it difficult for Strata Partners to add new and update existing content on the website, meaning extra cost and the inconvenience of having to go back to the original developer even for minor updates. 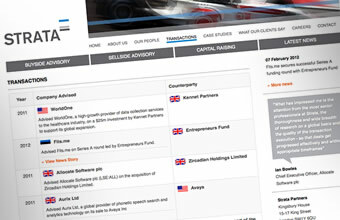 The existing design was largely retained, with some minor cosmetic updates to improve the layout and readability of the website. 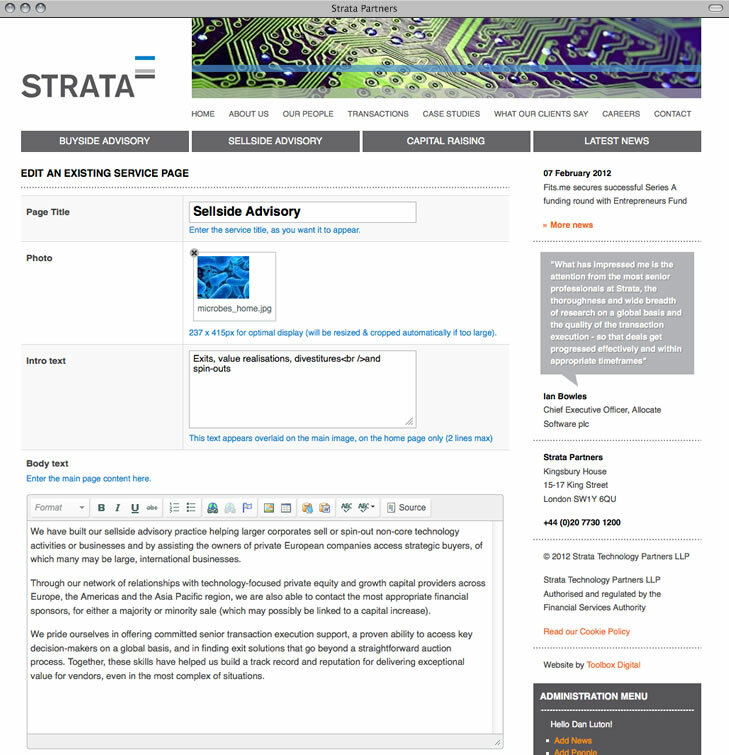 We rebuilt the site from the ground up in ExpressionEngine, and designed a completely bespoke front-end management system to allow Strata Partner's site administrators to fully manage all aspects of the website using the clean, user friendly interface we designed for them.